Leaving Osaka and heading for Kyushu, the driver is presented with the option of two highways running broadly parallel: the Sanyo Expressway, which hugs the populous Pacific coast, and the Chugoku Expressway, which barrels across the low rolling mountains of the middle of this westernmost region of Honshu. Ever eager to take the road that seems less travelled, I opted for the Chugoku. Once past Kobe, 40km outside of Osaka, the traffic melted away, and I settled back to enjoy the ride into the sunset. 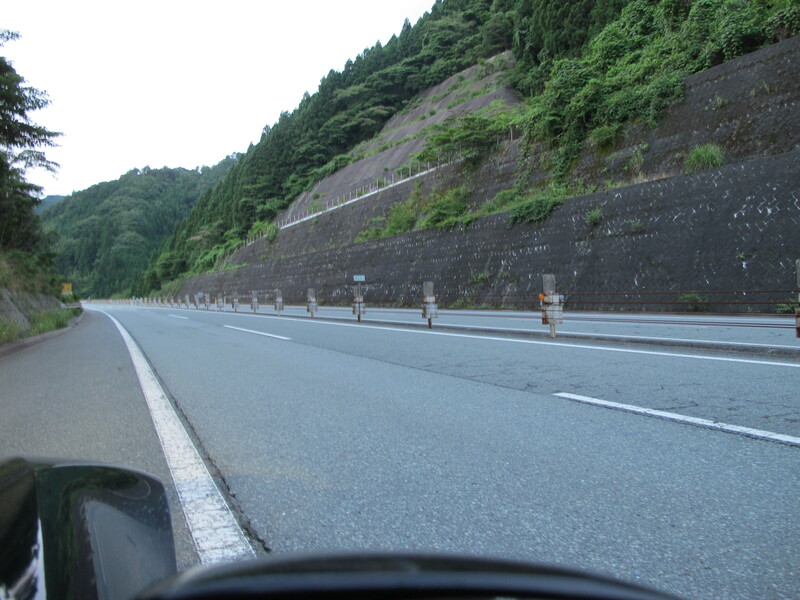 On and on the road unspooled, up and up the kilometers from Osaka mounted, sparser and sparser the traffic became. Why on earth was this road built, I wondered to myself. Some 300km out of Osaka, the Chugoku veers south to clip the north of Hiroshima City, the lunges west again beyond the Hiroshima North junction through a parade of tunnels. 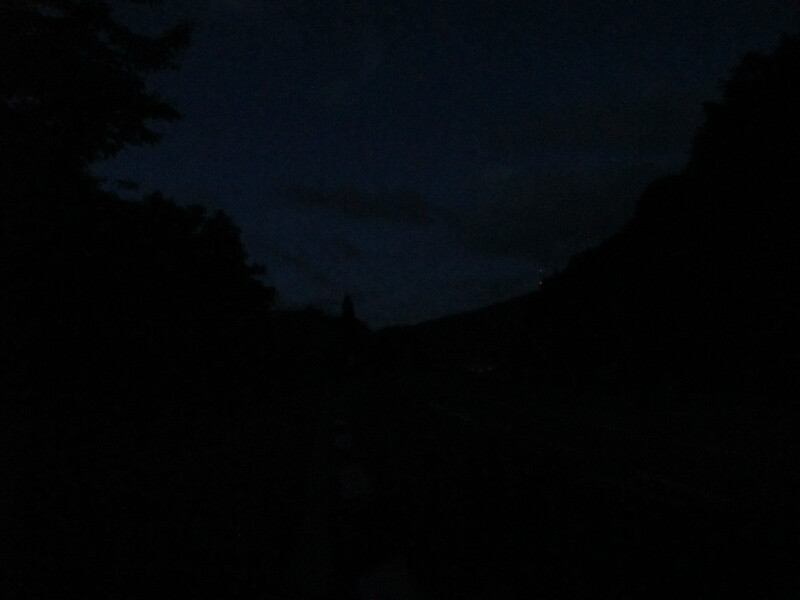 It began then to dawn with faint foreboding that I was essentially the only thing heading west, and at 7.10pm that Saturday evening, with dusk descending, I started counting off the minutes that elapsed before passing, or being passed by, other road users. Five minutes went by, then 10: I passed a pair of cars. 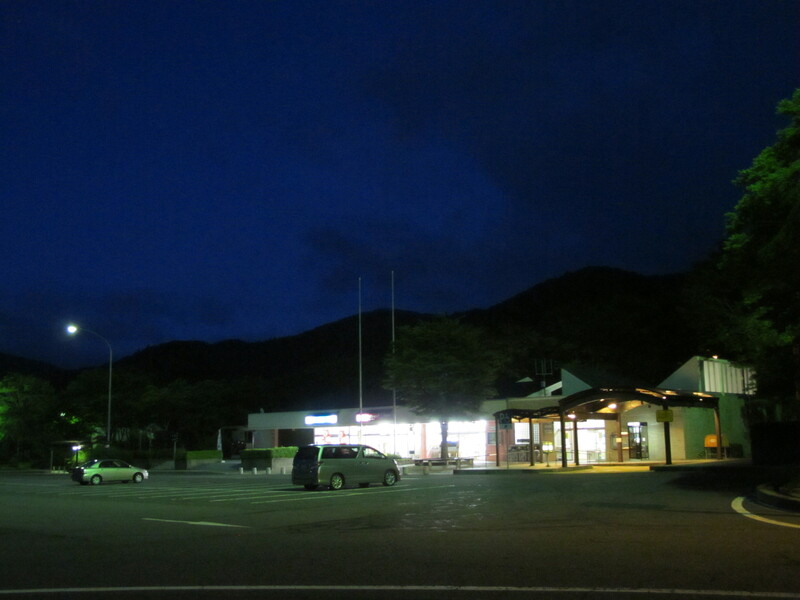 Reset the stopwatch: five, 10, 15, 20, 25 minutes… At 7.46pm I passed another pair of cars, and then two more before, at 8pm, I turned off for Yamaguchi City, 475km out of Osaka, to find a place to stay for the night. In 50 minutes, I had covered about 80km…and met with just six westbound vehicles. 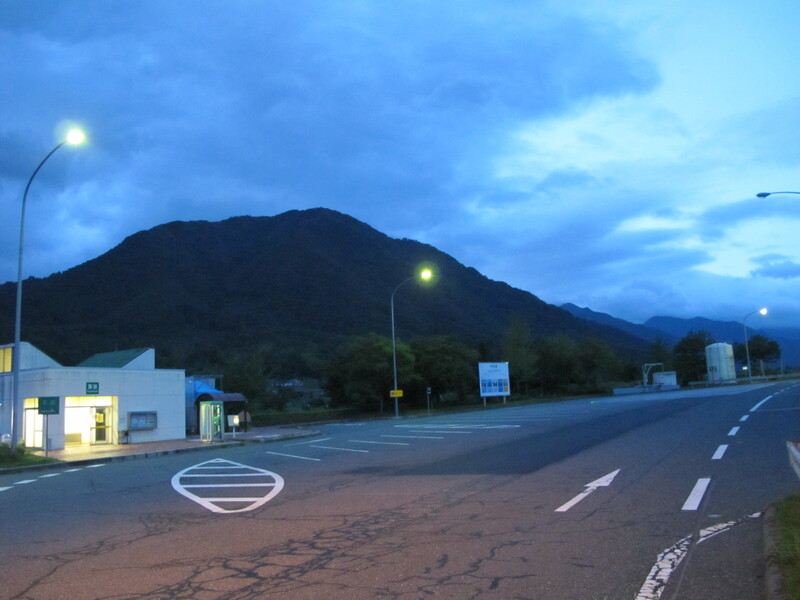 Returning from Kyushu, I decided to photo-document the otherworldly desolation of the Hiroshima-Yamaguchi stretch of the Chugoku, dropping in at every parking area and service area and pulling on to the hard shoulder every 10km or so for a snapshot of the state of the road, as long as the light held out, for the Chugoku is no ordinary road to nowhere, built to keep local construction companies afloat, but a full-bore four-lane expressway, at 540km the second longest in the whole of Japan, linking its second most populated city, Osaka (prefectural population of nearly 9mn) with its second most populated island, Kyushu (population of over 13mn). The Kano service area: both of its gas stations closed in 2005 and no traces of them remain. Service areas are supposed to offer 24hr shops and restaurants, but those at Kano are no longer open at night, leaving only vending machines and toilets. 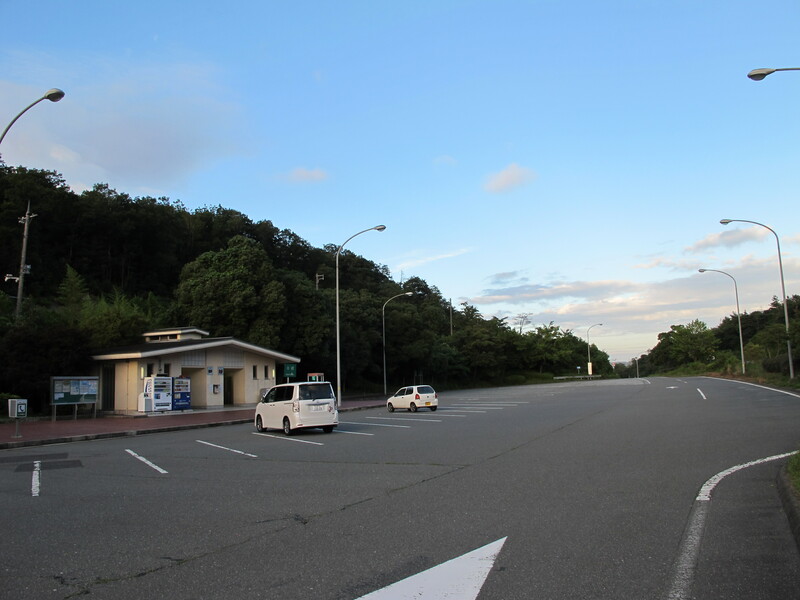 Abandoned gas station at the Yoshiwa service area, closed in March 2009. The westbound gas station closed in November 2008. 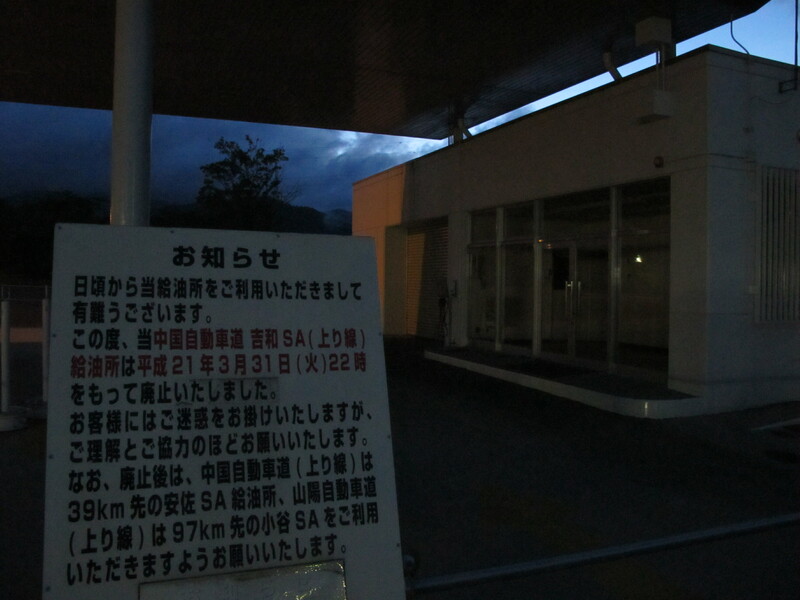 There is now no fuel available on the Chugoku for some 150km, between Mito (487km from Osaka) and Asa (340km from Osaka). In all ignorance, I ask: is there anywhere else in the developed world where highway gas stations are being closed down? 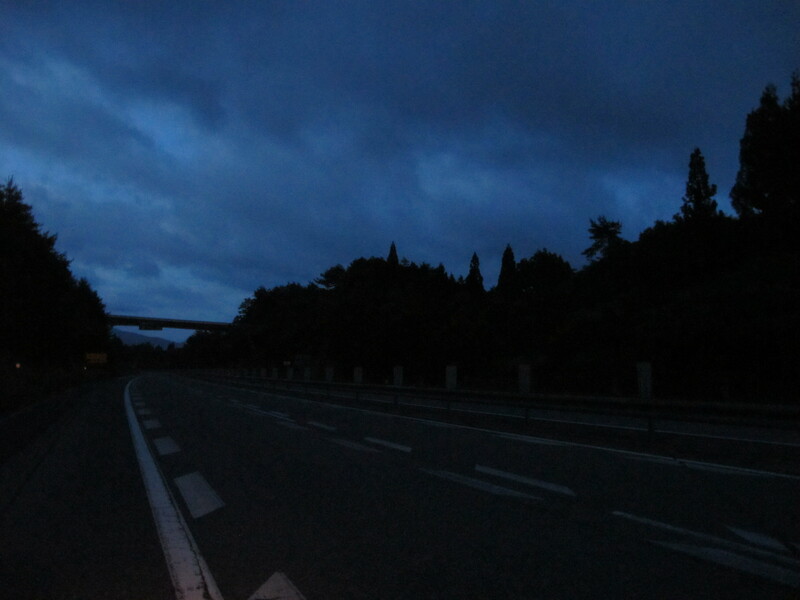 375km out of Osaka, now engulfed in darkness but still bereft of roadway companions in either direction. 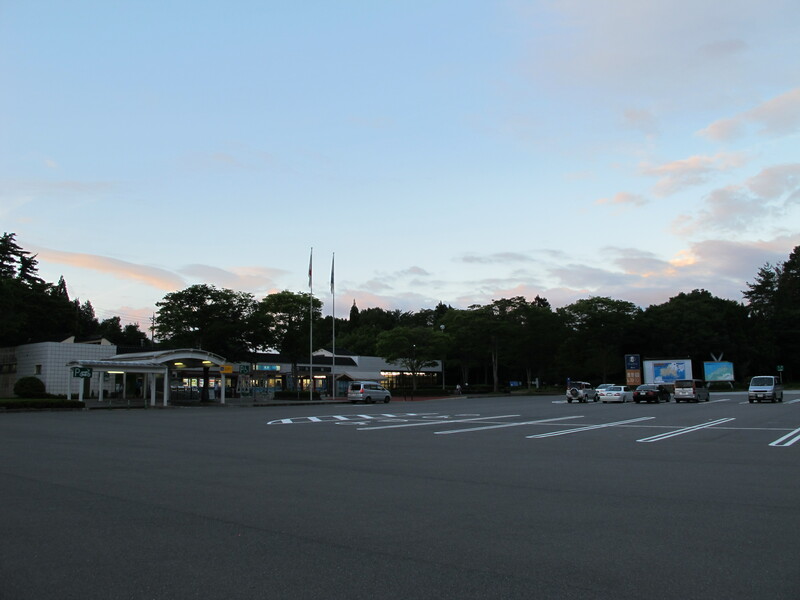 Having already driven some 800km that Sunday evening and needing to find accommodation for the night, I gave up on documenting the silences and absences of the Chugoku after 100km of desertion, case proven. So what accounts for the Chugoku’s voids? To answer that question, we have to rewind to the 1960s and the dawn of Japan’s motorization, when the powers that were decided, reasonably enough, that an expressway would be needed between Osaka and Kyushu—and then proceeded to put it in the wrong place. The Chugoku was built in stages between 1970 and 1983, when it was fully opened, but for roughly 400km it runs through hill and dale and small farming settlements, the biggest centers of population it passes through being Tsuyama in northern Okayama (around 100,000 people) and Miyoshi in northern Hiroshima (around 60,000 people). Like nascent expressway planners the world over, I sense, the road builders failed to realize that most traffic on their creations would be local. Planning then began for the Sanyo Expressway, linking Kobe and Yamaguchi, but this time right through the center of cities such as Himeji (over 500,000 people), Okayama (over 700,000 people), Fukuyama (nearly 500,000 people), and Hiroshima (nearly 1.2mn people). Construction work began in 1982 and the expressway, in all its 450km or so of glory, was completed in 1997. Traffic immediately drifted south from the Chugoku to the Sanyo, the Chugoku not helped by its relative age, which means a dearth of tunnels, an abundance of tight corners, and a ridiculous 80km/h (50mph) speed limit along most of its length, falling as low as 50km/h (30mph) at one point, which must surely be the lowest mandated speed limit in the world for a full-scale highway—thankfully, it’s gleefully ignored and unenforced. What does the future hold for the Chugoku? Greater loneliness is the only conceivable answer. Traffic on much of it is currently falling by around 2% a year, I guesstimate, caused by ageing and depopulation in the rural communities it largely serves: the population of Tsuyama is projected to slide 18% from 2005 to 2035 and of Miyoshi 29%, to say nothing of the smaller towns and villages along the way, where population declines will be still more dramatic. The San’in expressway on the Sea of Japan side of Chugoku is due to be completed sometime this decade, as long as the money holds out, draining still more traffic from the Chugoku. I suspect that by mid-century, all things being equal, large stretches of the expressway will finally be judged unviable and left to rot. 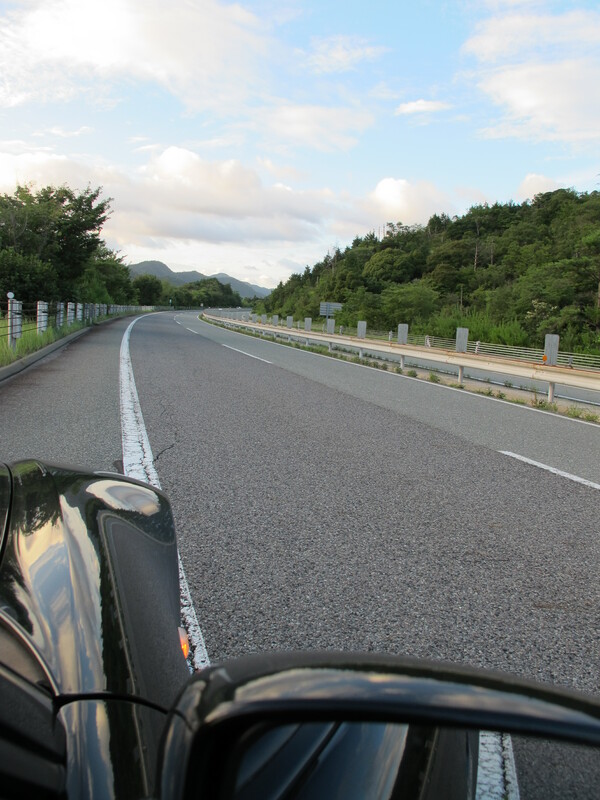 In the meantime, though, let’s raise a toast to the joys of the Chugoku, over 400km of delightful motoring through pine glades, across ponds, and past picturesque farmhouses, with nary another motorist in sight. 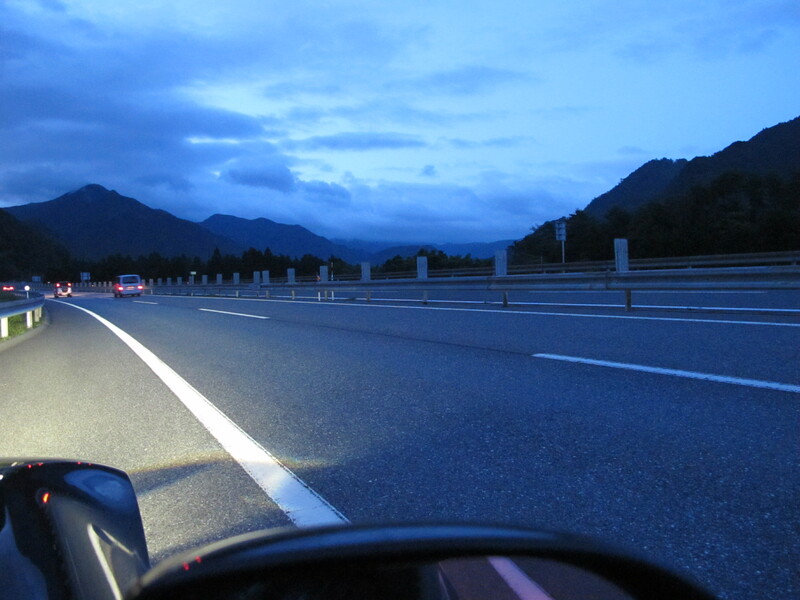 One word of warning, though: the highway patrol cops are very active for at least the first 100km out of Osaka, so stick to within 20km/h of the speed limit, as you wouldn’t want to get caught by the fuzz on the ghost highway. 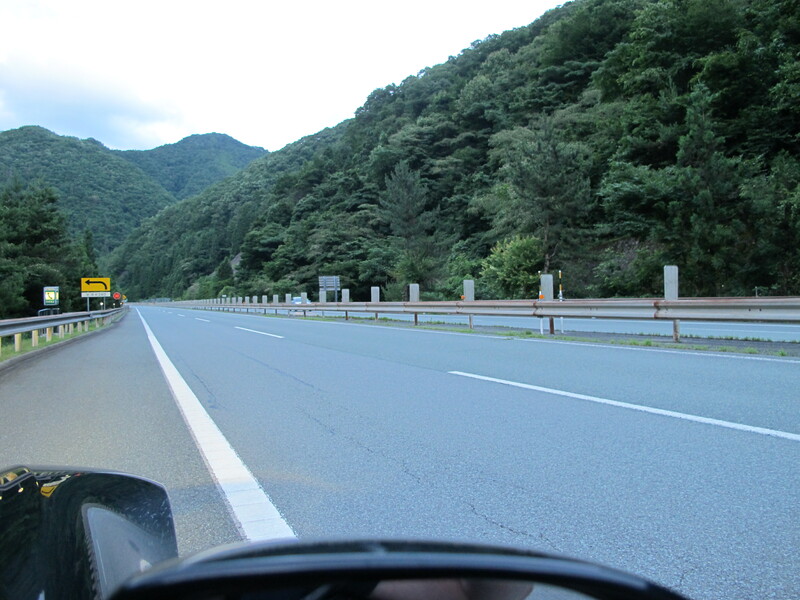 I rode that thing hundreds of times while I lived up in Yonago, up the equally lonely Yonago expressway. I would guess that the Chugoku was built partly in order to feed those communities on the Sea of Japan. The San-in-do is pretty ridiculous, a mere two lanes most of the way. (Inevitably you’ll find yourself behind a farm truck doing 30kph.) I reckon the construction companies will continue to build it this way, then a year or two after completion, will begin again, finally adding those extra two lanes. Mmmmm, pork! Dear Sir: Thank you for this fantastic website and the hours of reading that it has provided….A thought upon the Chugoku Expressway, though, and the reason why it is situated where it is, is this: This highway actually isn’t that stupid when examined in the context of the developments of the time. “…And proceeded to put it in the wrong place.” – No they didn’t actually. To an extent, you are writing that statement with the benefit of hindsight, and when this road was planned, almost nothing of the priorities of modern Japanese civil engineering as we know them existed. There was no Shinkansen, certainly not west of Osaka, and indeed no mass ownership of motor cars, so there was no need for massive motorways to connect local population centres. This is a purely modern phenomenon. You just lived in the city where you worked, not a suburb-town at the limits of your endurance along a motorway. There was also no large scale obsession with the Japanese tradition of smashing elevated highways right through urban areas, as everyone now takes for granted, and finally, here is a weird thought in the form of what this motorway was actually designed to do: Connect Osaka with Kyushu, not Himeji, nor Hiroshima nor anything else, with all of the attendant planning problems, local whiners and various greedy f*ckers in local government all wanting their cut of the money. 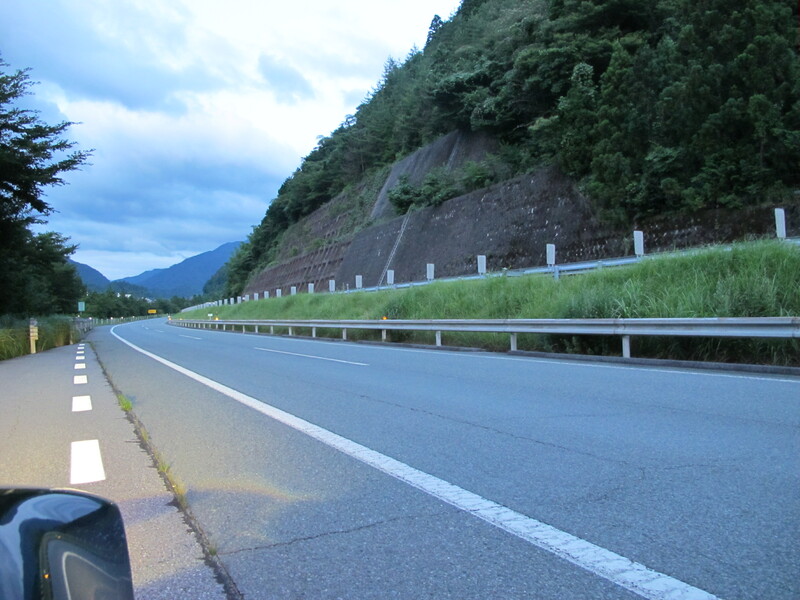 It is therefore logical that this highway avoided these locations – to connect Osaka and Kyushu – because otherwise the act of traveling between these locations is delayed for years by nothing more than bureaucracy. Later, the Sanyo highway got built, once everyone realized that if they wanted development they could not hold the situation up, and connection of these cities occurred. If anything, this route is not a failure, for once it sounds like someone somewhere actually Knew What They Were Doing. I’m glad you’ve been enjoying Spike and many thanks for your comments. From what I can glean at Wikipedia on the Sanyo Shinkansen, planning for it and the Chugoku Expressway were more or less concurrent, with the green light for the Chugoku given in 1964 and approval for the Sanyo to Okayama stretch coming in 1966 and to Hakata in 1969. The Okayama stretch was running by 1972 and the Sanyo was complete by 1975. Interestingly, the Sanyo Expressway got the go-ahead very shortly after the Chugoku, in 1966. That it took so long to build is quite probably testament to the planning problems you mention. It looks as though PARC peaked in 2007 and we are at the dawn of an era of de-motorization. Should be fascinating. 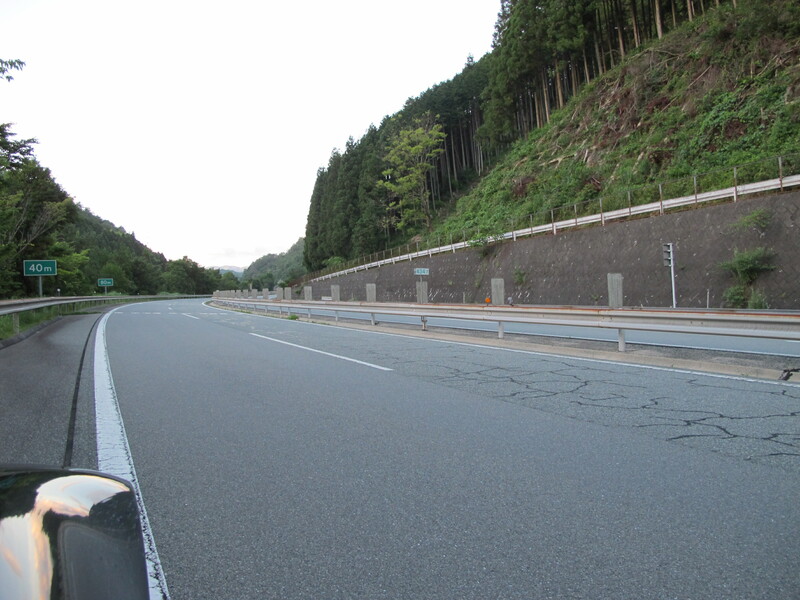 The Chugoku expressway is fabulous but no one uses it. Spot on, Spiked. There is another Chugoku road that was built in the heady bubble days and it could give you an idea of what happens to an abandoned road, even one put together by Japanese civil engineers. 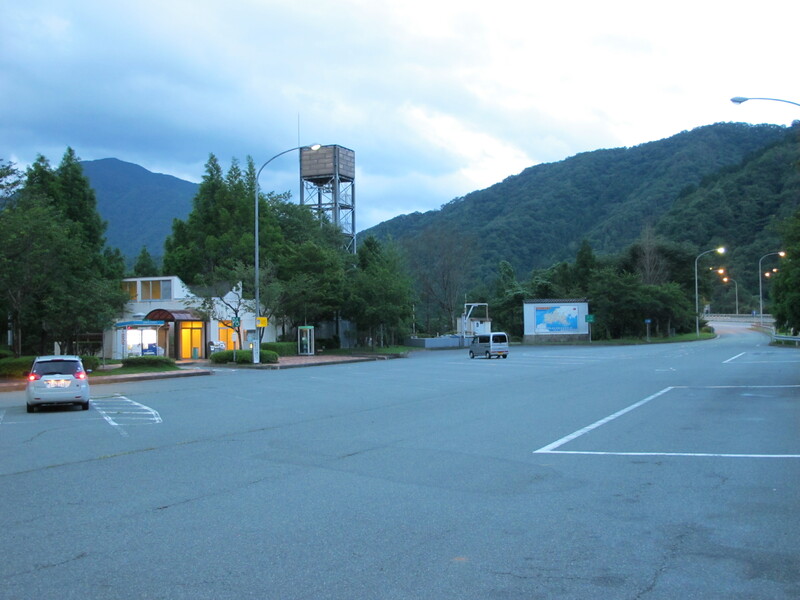 I am talking about the Trans Chugoku Hiking Trail. I don’t think anyone ever walked on it when it was built and no one walks on it now. For a good introduction on your next trip to Okayama visit Takahashi city. Go to the castle; you will have to hike so be prepared with good shoes, water bottle, jacket and hat. Walk along behind the castle and eventually you will come across some signage for the Trans Chugoku trail. Keep going about 5 or 10 minutes and you will come to a valley spanned by a fantastic pedestrian suspension bridge. Cross the bridge and walk carefully along the trail as it is being washed away little by little each year. I guarantee you will be the only person to use the trail for perhaps a week or a month. I have no idea of who conceived of the Trans Chugoku trail, but it seems to go from Hyogo, through Okayama to Hiroshima. It may have been a western Japan version of the Appalachian trail. I am sure it is a lovely walk and I would like to do it someday. “I am talking about the Trans Chugoku Hiking Trail” would make a wonderful blues parody song, perhaps better titled “Talkin’ Trans Chugoku Hiking Trail Blues”… Thank you for the info, though, when I retire… Extraordinary what nonsense has been built. Spike, with all the closed petrol stations and daytime only food and drink stops, it seems this would a good road for touring cyclists. What do you think ? 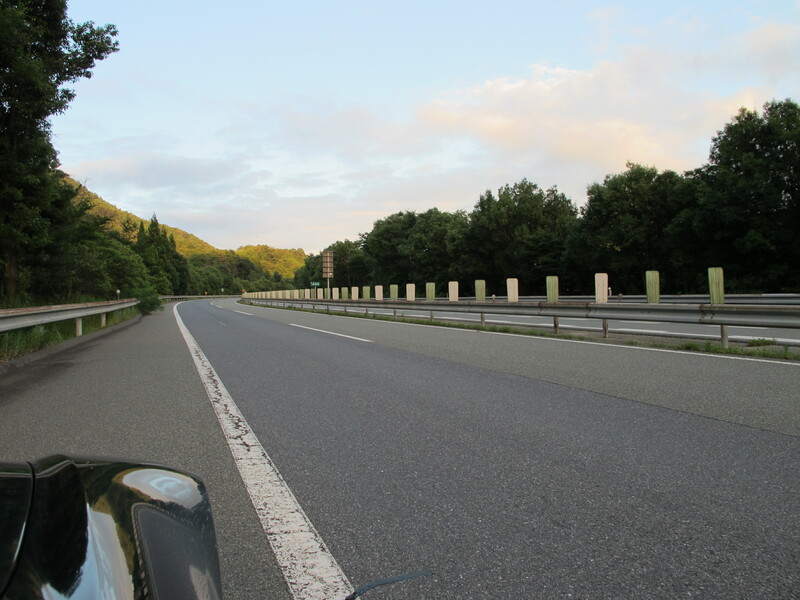 It would be a fabulous road for toruing cyclists, at least from about 100km outside Osaka–time to petition the Ministry of Land, Infrastructure, and Transport. But don’t hold your breath!